Ah, the holidays. That magical time of the year when gluttony is accepted — nay, encouraged — and we all feel free to indulge until our bellies shake like a bowl full of jelly, Santa-style. But if holiday movies have taught us anything, it's that holiday meals can be very merry… and, well, downright disastrous too. Still, there's no denying that no matter which outcome you wind up with, the holidays and food are intrinsically linked. If you think back on your favorite memories from this festive season, at least one of them likely revolves around something you ate or baked during that time. So let's lean in to all those warm and cozy culinary feels by looking back at some of the most memorable holiday food scenes in movie history. From the delightful and delicious to the embarrassing and inedible, we've got 12 moments that'll work up your holiday hunger before the eating, drinking and getting merry commences. .
Raise your hand if you think heaven looks like the Great Hall at Hogwarts during the holidays. That spread is the work of angels. Did someone order five pounds of veal with a side of hallucinations brought on by repressed feelings and the ghosts of holidays past? Anyone? There's only one rule, y'all — never let the hot chocolate cool. The reward? Enough of the sweet and frothy stuff to warm your belly until spring. More: We've All Sung About Figgy Pudding… But What the Heck Is It? This stuffy holiday party feels so real we can practically taste the caviar, which — oops! — was just a garnish. We're lookin' at you, Tom Hanks. With so much buildup over that most classic of cooked holiday birds, it's no wonder this super-dry turkey, ahem, deflated the Griswolds' Christmas dinner. To be honest, we're just angry we weren't the first ones to think of toting tiny bottles of maple syrup up our sleeves. 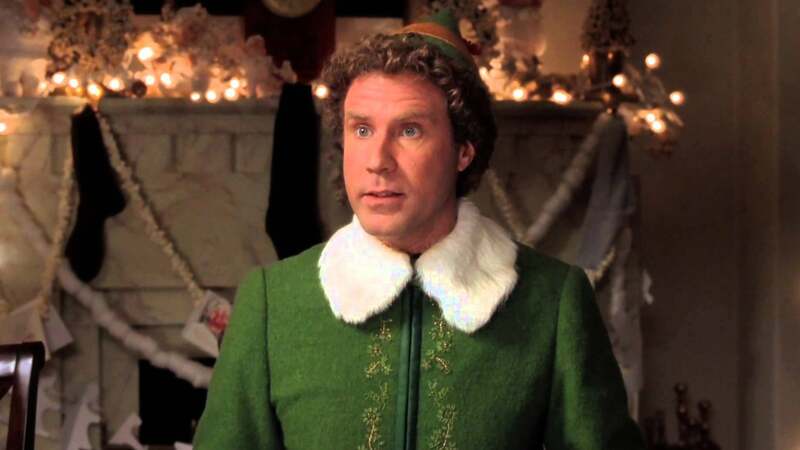 You beat us to the punch, Buddy the Elf! If poultry is part of your holiday menu, you may want to rethink your plans to a) cook it this year or b) visit home for the holidays after you watch this randy clip from Four Christmases. After the dog ruins their classic Christmas dinner, Ralphie and his family head to the local Chinese restaurant to enjoy a much different main course: Peking duck. And thus, a new holiday tradition was born in households across America. You can practically hear your own heart grow three sizes when the Grinch makes nice with the Whoville-ians, returns all of their stolen goods and even carves the roast "beast." In what may go down in history as one of the most comically disastrous and yet alarmingly realistic family holiday food scenes, all hell breaks loose after Meredith's special Christmas dish winds up all over her… and pretty much everyone else too. Every kid ever wanted to be Kevin McCallister when — while kicked back in the cushy Plaza Hotel watching grown-up movies — the room service attendant asks if he'd like two scoops of ice cream. "Two scoops? Make it three. I'm not driving." Classic! If you've ever waited until the last minute to go shopping for holiday dinner, Mrs. Krank's Hunger Games-esque experience trying to find hickory-honey ham will likely feel all too familiar.